Open Rehearsal: CROSSING is Underway! Thanks to your generous support of CROSSING's Rockethub campaign last year, the remount of this seminal project is in full swing. Bring your friends and family to a FREE open rehearsal in Oakland to see firsthand what's in store. Bring blankets, beach chairs, or mats for best viewing. See you at the Wall! 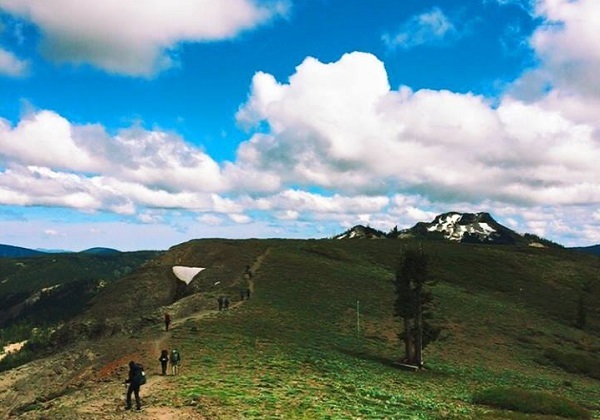 Join BANDALOOP this Saturday at the Ebb & Flow River Arts Celebration in Santa Cruz with a day full of activities, food, river tours, music, a live vertical dance performance, and more! Mark your calendars. BANDALOOP would be honored to have you in attendance for its first annual gala to fête another year of new friends, dance floors, and heights! 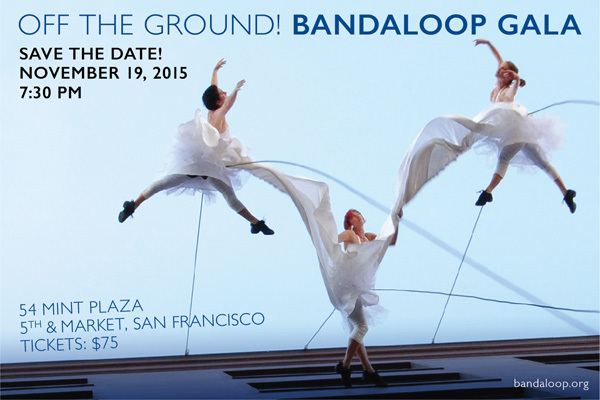 Come dance the night away with BANDALOOP and celebrate with the company's inaugural gala. More details, including a formal invitation, will follow soon. Please contact info@bandaloop.orgwith questions. Summer Intensives are fast approaching. Come learn how to dance on walls under the excellent guidance of BANDALOOP company dancers and experience the team's culture of teamwork and safety firsthand. Take vertical dance training from the ground to the air, and practice core strengthening and recuperative techniques for sustainable dancing. You will also examine compositional and choreographic explorations as you respond to non-traditional spatial orientations in various surfaces and heights. Share the word with fellow dancers in the community! Copyright © 2015 BANDALOOP, All rights reserved.